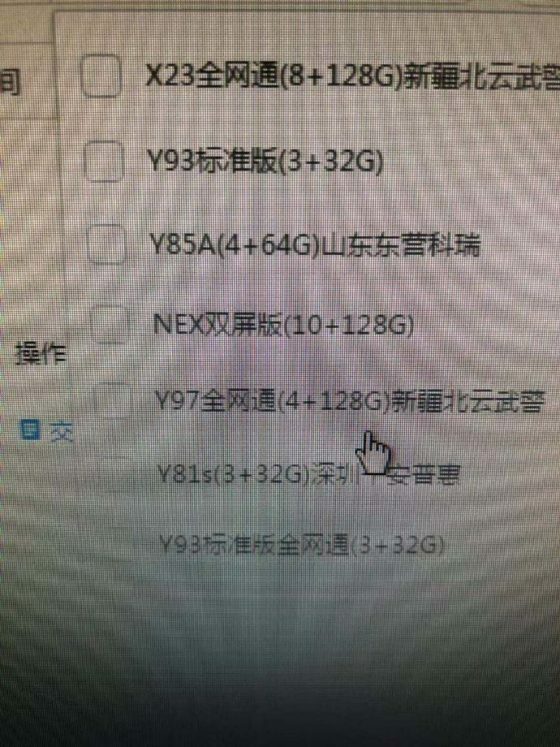 Vivo Nex 2 is a smartphone that has recently been subject to leaks . Now we find out when exactly the premiere will take place. The phone will be presented in China on December 11th. On the same day, we expect the debut of the OnePlus 6T McLaren Edition, which was announced a few days ago . Vivo Nex 2 is to get 10 GB of RAM memory. Thus, it will join the short list of smartphones with such a large memory. At the moment there are not many, but soon it will change. The same will be the case with the mentioned OnePlus 6T McLaren Edition. Here, leaks also suggest 10 GB RAM . In addition, we learn that there will be 128 GB of data space on board. 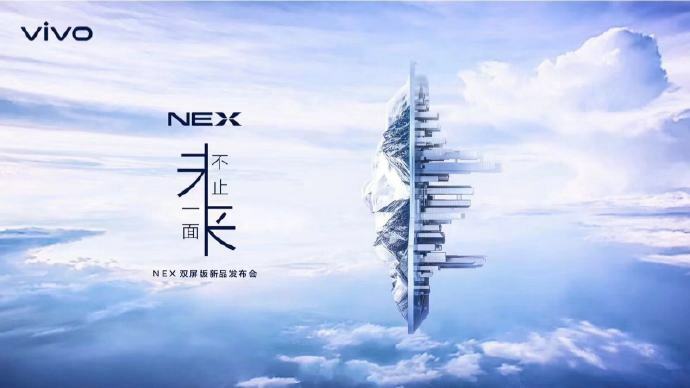 We already know that the Vivo Nex 2 has two screens . The second display is placed on the backs. A similar solution is the ZTE Nubia X . The second curiosity is the ring with LED diodes. He will be responsible for notifications. 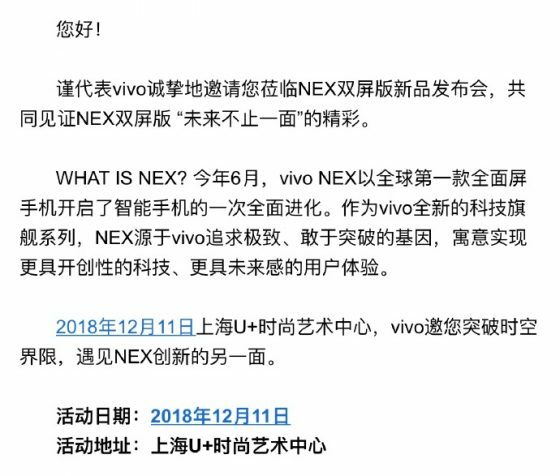 The complete technical specification of the Vivo Nex 2 is still not known. We will get to know her before the premiere. The price also remains a secret, but it is sure that it will not be low. For more details, we have to wait, but it will certainly be a very interesting phone. Previous post LG V40 ThinQ goes to Europe, and when in Poland?